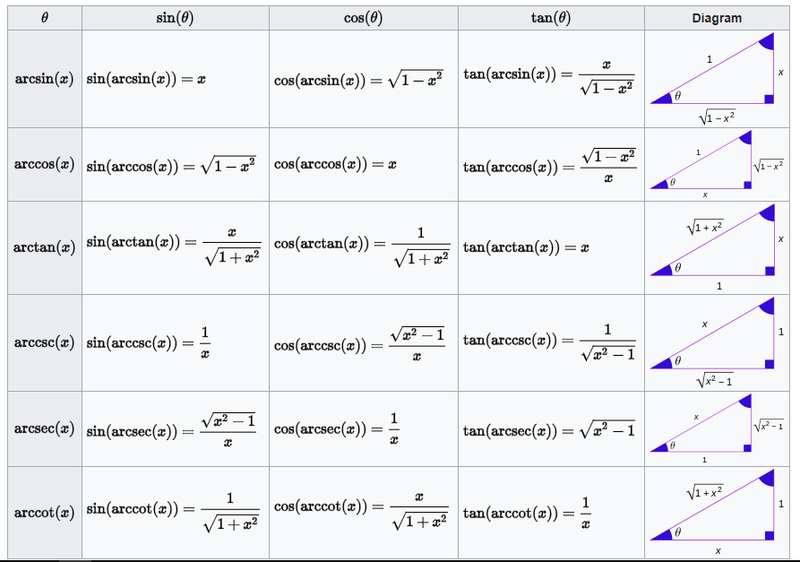 Trigonometry is a branch of mathematics that deal with angles, lengths and heights of triangles and relations between different parts of circles and other geometrical figures. 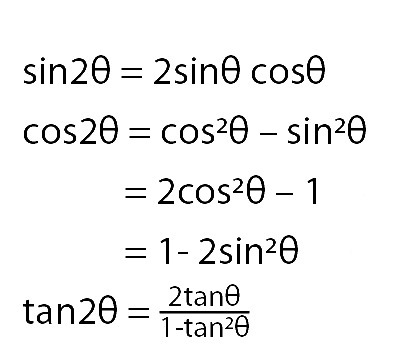 Maths Formulas – Trigonometric Ratios and identities are very useful and learning the below formulae help in solving the problems better. 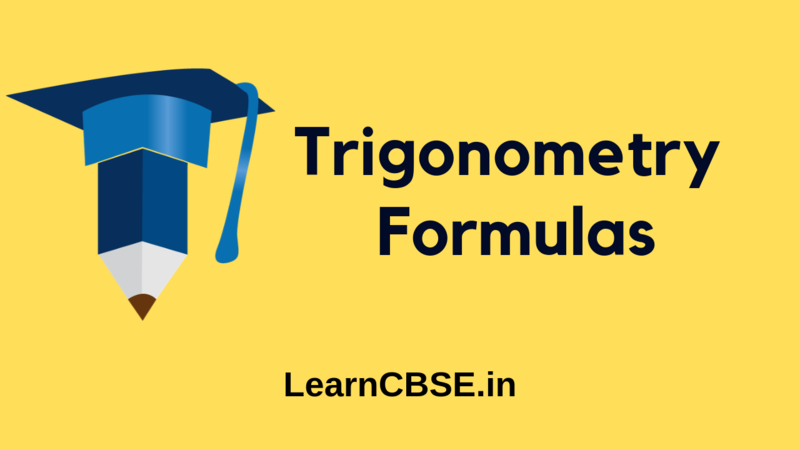 Trigonometry formulas are essential for solving questions in Trigonometry Ratios and Identities in Competitive Exams. 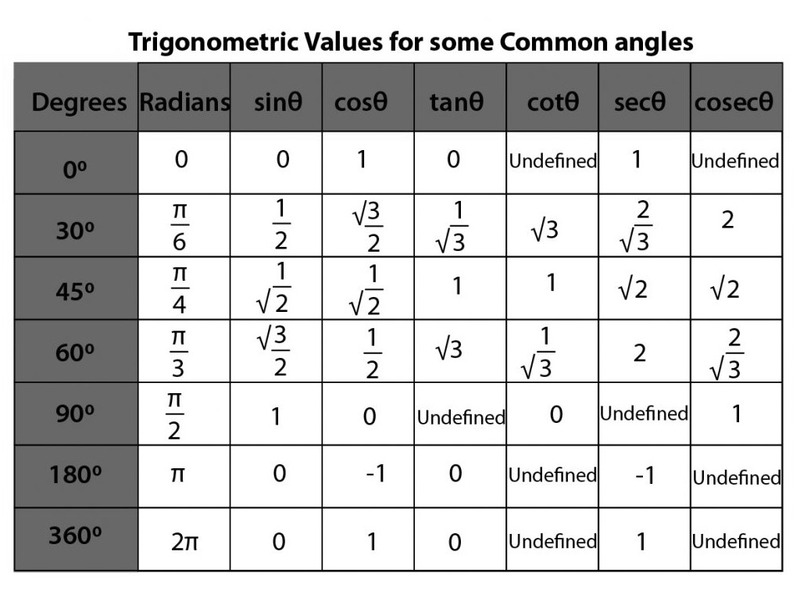 Trigonometric Ratio – relationship between the measurement of the angles and the length of the side of the right triangle. 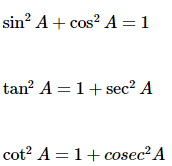 These formulas relate lengths and areas of particular circles or triangles. 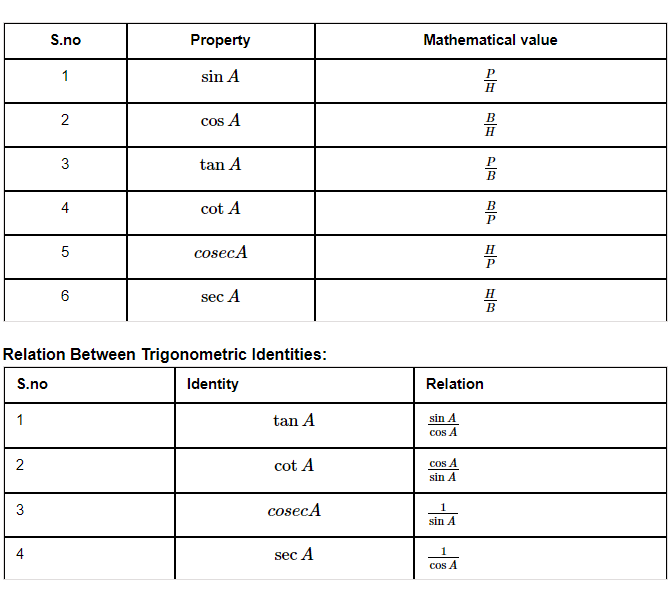 On the next page you’ll find identities. 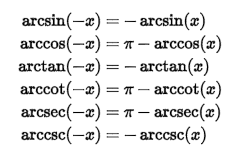 The identities don’t refer to particular geometric figures but hold for all angles. sign. 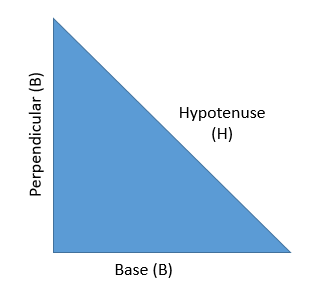 The sign is based on the quadrant in which the angle lies. 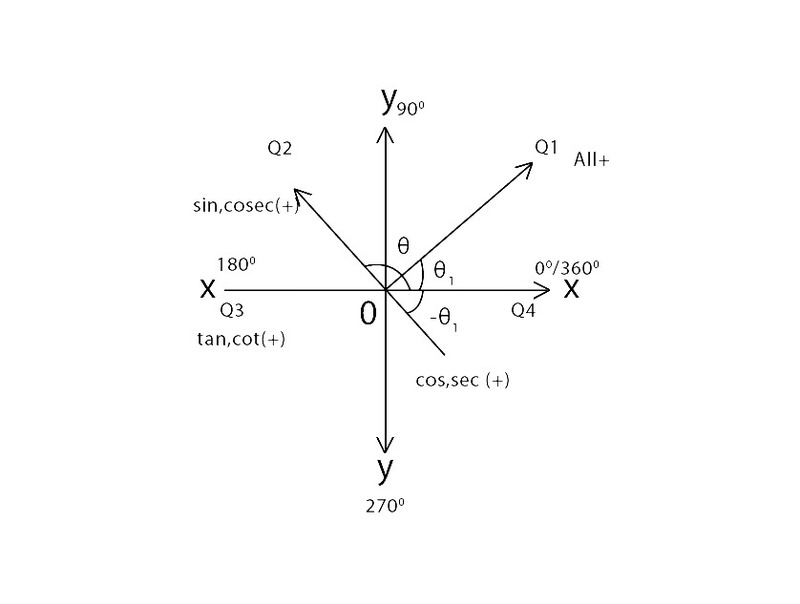 Let us assume an angle of θ1 lying in the 1st quadrant and an angle θ in quadrant one and two combined. So let us see how signs change with respect to the quadrant they lie in. and sec are positive. 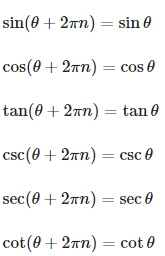 So the above will be negative. 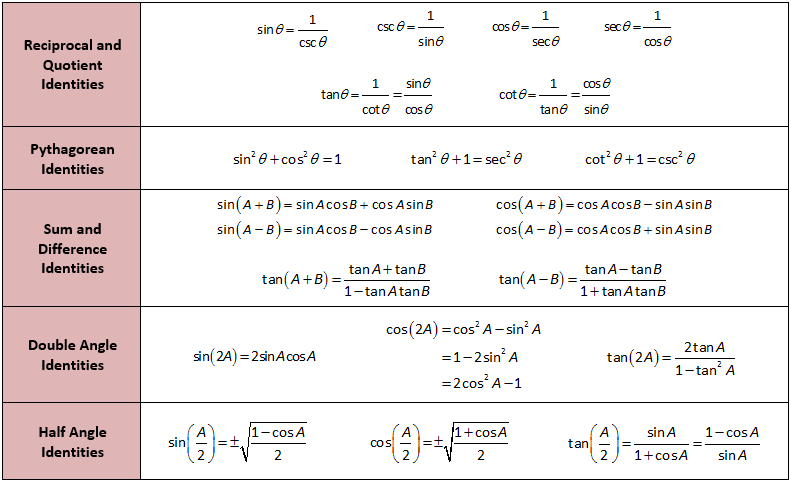 2700-θ will fall in the quadrant 3 and in this quadrant trigonometric ratios of tan and cot are positive, so it will again be negative. 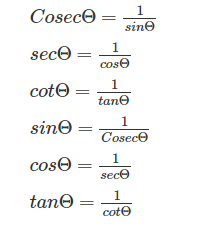 For 180o ± θ and for 360o ± θ, the signs will remain the same. 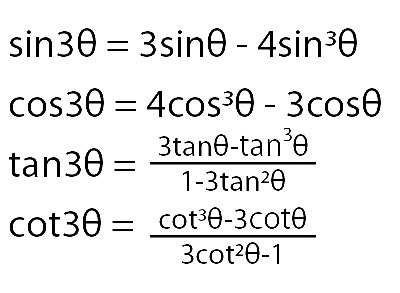 The sign of the trigonometric ratios change based on the value of θ. 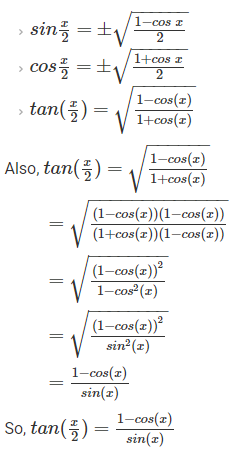 After looking at the trigonometric ratios, let us move on to trigonometric identities, which are the basics of most trigonometry formulas. 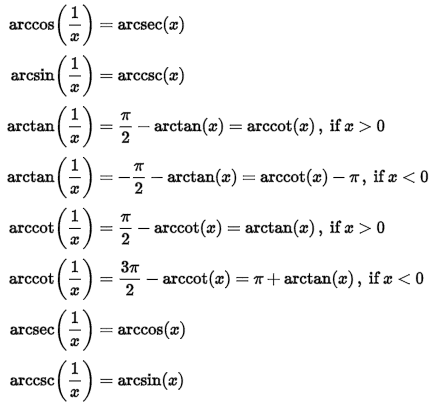 The above identities hold true for any value of θ.